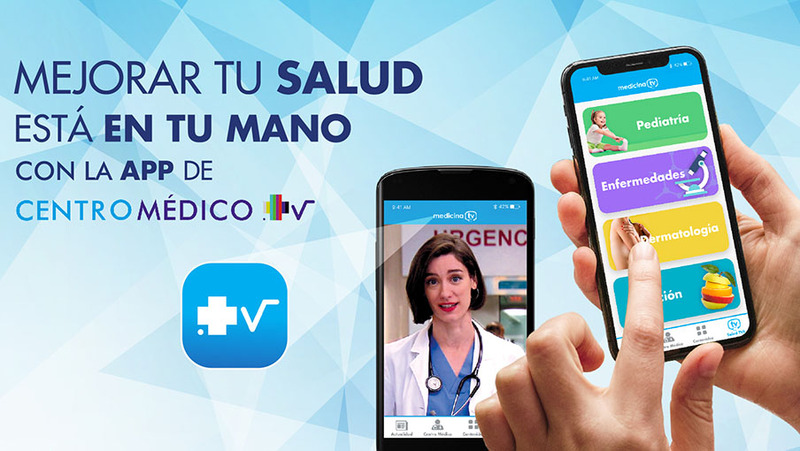 "Centro medico" launches a health content app that will give viewers of the series information about the pathologies or medical practices that are addressed in the fiction of La 1 during the broadcast. Prepared by doctors, it will include videos, tips, questions and small pills with curiosities or definitions about health. Developed by TVE, Zebra Producciones and Medicina TV, the app 'Centro medico' seeks to extend its public service work beyond the series. "Centro medico" app is a public service bet that combines scientific, medical and social interest in a platform and can be downloaded from the mobile in all operating systems. The app is the result of a joint project between TVE, Zebra Producciones and MedicinaTV. The three entities develop this platform in order to produce health content that responds to the general public interest and contributes to improving the quality of life of people. The series 'Centro medico", broadcasted on La 1 TVE from Monday to Friday at 18:20, becomes an interactive production with this tool. Viewers can use the application at the same time they enjoy the episodes of the live series. The app is structured in categories (by medical specialties and diseases) and will include video tips, questions or small pills with definitions and curiosities about health, with the confidence and reliability of having been prepared by medical professionals.